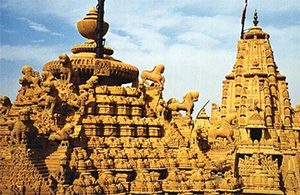 Ranakpur Temples are acclaimed worldwide for their unpredictable and wonderful architecture. 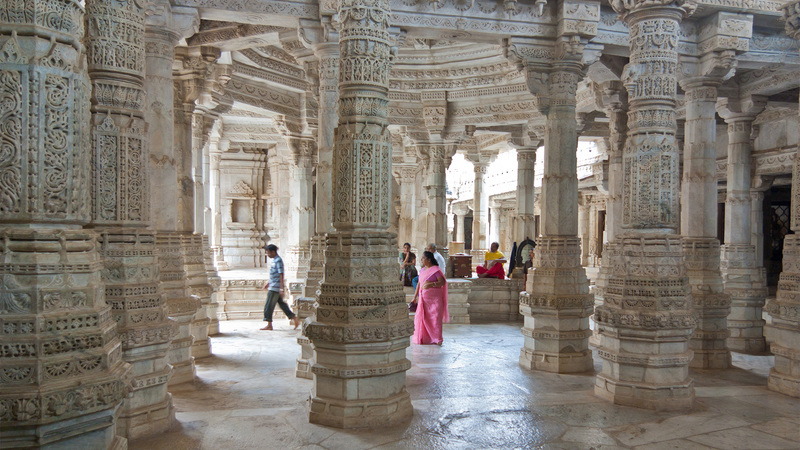 The Ranakpur Jain Temple was built throughout the rule of the liberal and skilled Rajput ruler Rana Kumbha in the fifteenth century, in the AD 1439. History has it that Rana Kumbha gave a huge area to Dhanna Shah to empower him to understand his dream for building an extraordinary temple. There are various lovely and gently carved sculptures in this place of worship which oppose comparison. The construction of the temple is very complex with four different doorways prompting chambers inside. 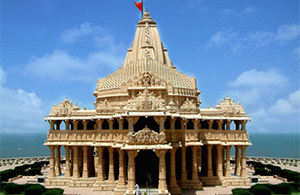 Surya Narayan Temple built during mid-fifteenth century this temple devoted to the Sun God - Surya, has a tower over the sacred place and takes after a circular plan because of its various wall projections. It additionally gives a sight of the Lord Surya driven chariot, having seven horses. Surya Narayan stones sanctuary in Rajastahn is adorned with carvings of warriors, stallions and sunlight based gods riding stunning chariots, drawn by seven steeds. The temple is open from sunrise to sunset. Photography of the god is not permitted. Maharani Bagh Orchard Retreat constructed in the nineteenth century by the Maharani of Jodhpur, it is encompassed by the Aravalli hills. 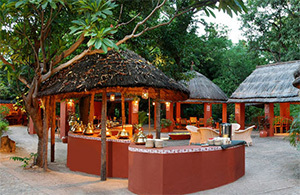 The nature resort is spread over acres of land of lush green area, abundant in flora and fauna offering the guests a convenient stay in the middle of nature in its pristine form. There are sixteen ventilated rooms, and with the greater part of them on a twin plan in a "cottage", Maharani Bagh is a pure family retreat, as in reality it stays for the Royal Family of Jodhpur.